Brands' favourite holiday is probably April Fools' day aka the pranksters' Day. Each year they come up with some kind of pranks they pull on their customers, for example, some innovation technique they have come up with or just some new product they launch and later call us fools for believing it. While we believe, initially it was fun but not anymore. These days the pranks are both predictable and utter waste of time. Or guess what, we all should take Microsoft as an inspiration who completely banned April Fools' Jokes and pranks for April Fools' Day that falls on the 1st of April. From Mc Donald’s Glow-in-Dark Burger to Kingfisher’s Instant Beer Powder, Don’t Be Fooled by These April Fools’ Day Pranks This Year. In the past decade, we've seen a lot such as Petlexa' - a speaker for dogs, cats and other pets by Amazon, Lays' "no share pack - installed with fingerprint sensors" or when Netflix 'acquired' Seth Rogen. We've seen it all. This year, however, Kingfisher has come out with some creative April Fools' pranks that the customers have already guessed. Be it the introduction of Kingfisher Radler! Refreshing, Non-Alcoholic Drink or the Kingfisher Indian Prank League or the most creative one "Kingfisher Instant Beer, Best Beer Anytime, Anywhere"- basically a powder that you have to mix in water to turn into beer anytime, anywhere. However, the Non-Alcoholic Drink by Kingfisher is not a prank. 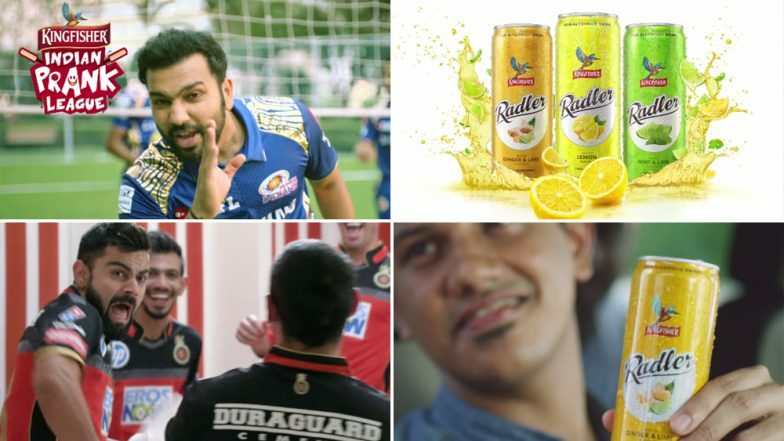 They already have the product and it is being sold, however, between the other announcements that clearly look like pranks, Mallya chose to also share this information about their new product, Radler. Are we wondering why? Nah. And some people are actually falling for it! This could revolutionise the beer industry.. United breweries has again shown the importance of r & d.
However, such jokes and pranks on the customers are all fun and games until it backfires. Many a time, pranks that haven't been thought through have failed in the past.